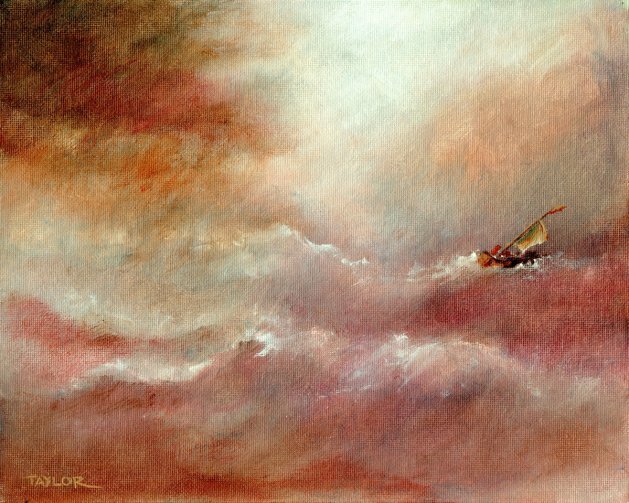 This expressive sea storm drama is painted in acrylics, on cotton canvas acrylic board. Size 10" x 8" (254 x 203mm). Unframed. Thank you for looking.